AMATERASU is the one of most popular ancient Japanese Gods/Goddesses. 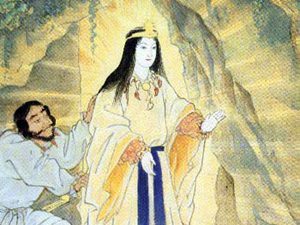 This healing modality is very unique method which is operated with special connection I(Maki Otani) have with the Amaterasu Sun Goddess. In the session, I channel the Amaterasu Goddess with very special way, then she will come down and work for you. What she does for you is to open up you divine core essence completely. It will help accelerate the process of your path of progression, achieving your sacred mission of your life, living who you truly are. It also release your resistance, doubt, blockage against your own divinity within,helps you to remember that you are divine existence. Sun Goddess with the linage of the royal family of Japan.